B & M's experienced personnel can design a control product specific for your application from as little as a verbal description. 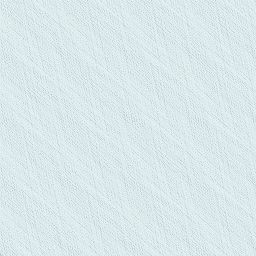 Our AutoCad service is available to provide drawings on paper or disk. 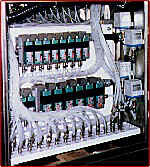 B & M manufactures custom electrical/electronic controls including P.L.C. 's and robotics. Our industrial motor controls and variable-speed drives are available up to 600 volts, 400 amps. B & M is an approved supplier of Electrical Controls for the Regional Municipalities of Halton, Niagara, Ottawa-Carlton, Metropolitan Toronto and area, the Greater Toronto Airport Authority, and many major engineering firms. 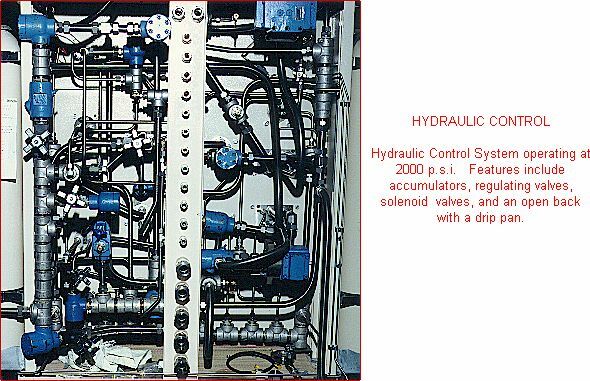 Our hydraulic products include large, custom designed power supply units for Pulp & Paper machinery to special, dual pump arrangements for wiper operation in ultra-violet water disinfection systems. B & M Manufacturing Inc. is an approved supplier for the Ministry of Transportation of Ontario and is listed in the Ministry's Designated Sources for Materials Manual. We are approved to manufacture 5 KVA through 25 KVA Power Supply Cabinets, Supply Control Cabinets Types 1, 2, & 3, and 50 KVA through 300 KVA Distribution Assemblies. For more detail, visit our MTO Products page. 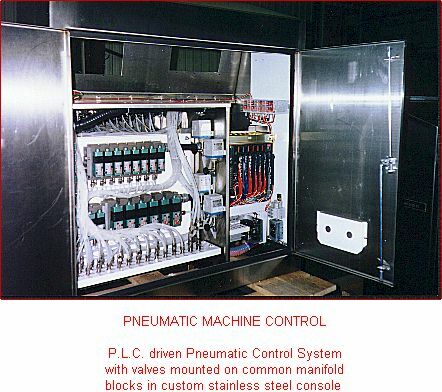 Our experience in pneumatics is wide and varied, ranging from construction of header assemblies & hoses for large, air assisted, electrical contactors to dedicated-purpose, industrial controls to special P.L.C. controlled consoles. We provide programming for all makes of P.L.C. 's (Programmable Logic Controllers). 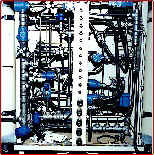 Our technicians will provide programming services on or off site. Our harness builders will produce simple, pin to pin, P.L.C. cables to complex, electrical harnesses. The harness department is equipped with custom designed lay-up boards. 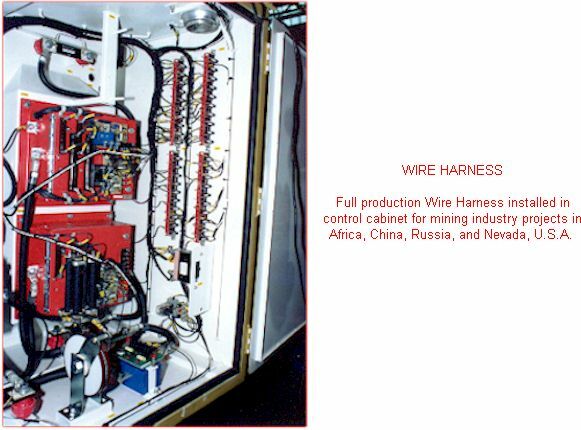 Our harnesses are custom fitted for each application and thoroughly tested before they leave our facility. 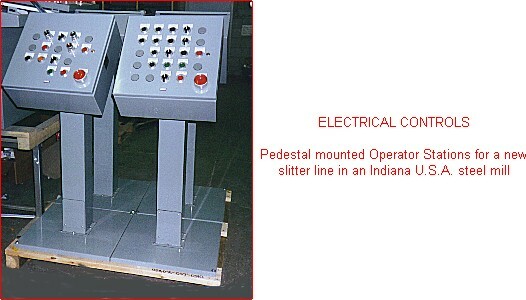 They are ready for installation in your shop or in the field. Harnesses are built to industrial, automotive, or military specifications. YOUR ONE STOP PANEL SHOP!